Under the shadow of the Alamgiri gate constructed by the Mughal Emperor Aurangzeb that opens towards the iconic Badshahi mosque and is now used as the principal entry into the Lahore Fort, is a small temple, a modest structure with a small dome on the top, a typical Mughal structure. Known as the temple of Lava, or Luv, the current structure is believed to have been constructed on the top of an ancient temple that was built here to honour Prince Luv, the son of Lord Ram. Stories about the origin of Lahore state that when Sita, the wife of Ram was banished from Ayodhya after being rescued from Ravana, she found herself in the ashram of a hermit called Valmiki, where she gave birth to her twin sons Luv and Kush. Legends narrate that Valmiki, the author of the Ramayana, was living on the banks of the river Ravi, not far from the present-day city of Lahore. In fact, it is believed that Luv founded the city of Lahore, while Kush founded Lahore’s twin city, Kasur, about 50-odd km away. Therefore it was present-day Pakistan where the first Ramayana was written and the twin sons of Ram were born. About 350 km from Lahore, is another ancient city, Multan. The city slowly developed around a mound where now lie the Sufi shrines of Bahauddin Zakariya and Shah Rukn-e-Alam, the patron saints of the city. Next to the shrine of Bahauddin Zakariya are the remains of one of the most ancient temples in the subcontinent that once served as the focal point of the city. The temple of Prahlad Bhagat commemorates the victory of the child saint over his tyrant father, Hiranyakashipu, who is once believed to have ruled this ancient city. Legends narrate that it was also at the city of Multan that Holi – one of the most prominent festivals of India originated. Prahlad Bhagat deceived and managed to kill his paternal aunt Holika, who attempted to kill him at the behest of his father. Holi is the celebration of victory of righteousness over evil, of Prahlad over Holika. 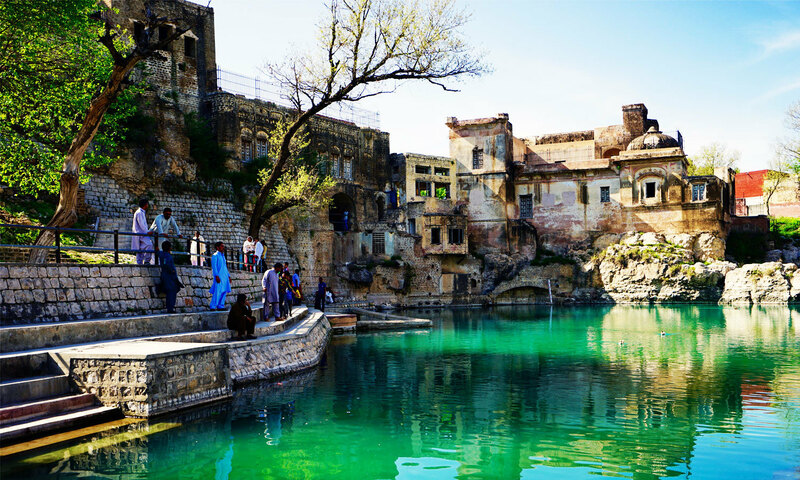 On the north-western side of the country, in the foothills of Himalayas, within the embrace of the hills, is an ancient pool around which the Katasraj temples are constructed. It is believed that this sacred pond was created out of the teardrop of Shiva, which dropped at this location while he was flying above it carrying the dead body of his consort, Parvati. Regarded as one of the holiest sites in ancient India, this temple complex was once the site of a major university, and visited regularly by students of Hinduism and spiritualism. The temple complex and the pond have remained sacred through the long history of this land. There is a partially-excavated Buddhist stupa here dating back to the third century BCE. Next to it are temples dedicated to Shiva constructed around the seventh and eighth century CE. It is narrated that the Pandava brothers constructed these temples during their long exile. 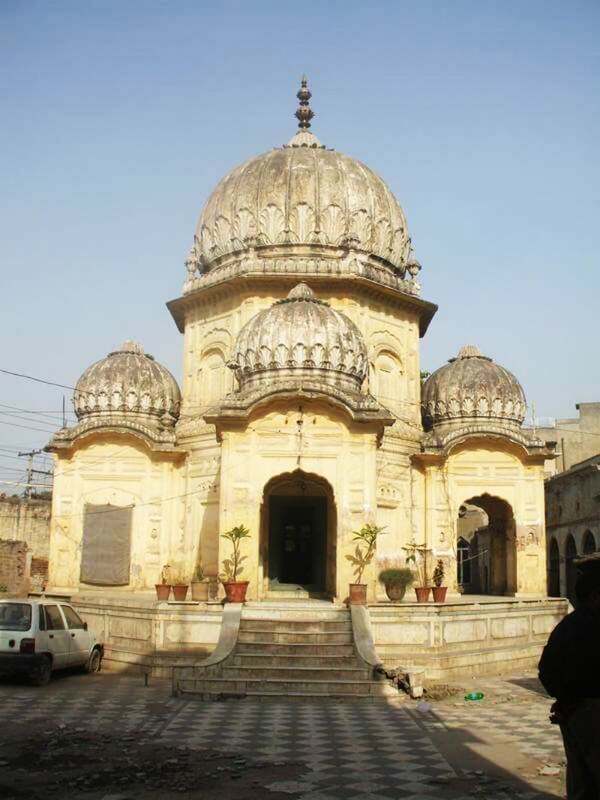 Adjacent to it is the Ram temple constructed during the tenure of Maharaja Ranjit Singh. Next to this temple is a gurdwara dedicated to the visit of Guru Nanak to this pilgrimage site. Across the mountain, on the top of a mount, is the spot where Al-Beruni, the famed Arab scholar, spent several years studying the “religion of the Indians” and calculating the radius of the world. Further west, on the banks of the Indus, located on the top of rugged mountains, are the ancient stone forts of Kafir Kot and Bilot, containing some of the earliest temples in this region. Like the temples in Katasraj, they too are believed to be made by the Pandava brothers during their exile. Not far from here, in the embrace of the Margalla Hills, are the remains of the splendid Buddhist cities, temples and university dating back to the fifth and sixth century BCE. One of the most prominent archaeological sites here is Dharmarajika, established by Emperor Ashoka in the third century BCE, as a major Buddhist monastery. The monastery was constructed around a stupa, one of the many stupas that contain relics of Buddha. In Peshawar and Swat, other stupas were also found that contain relics of the Buddha. 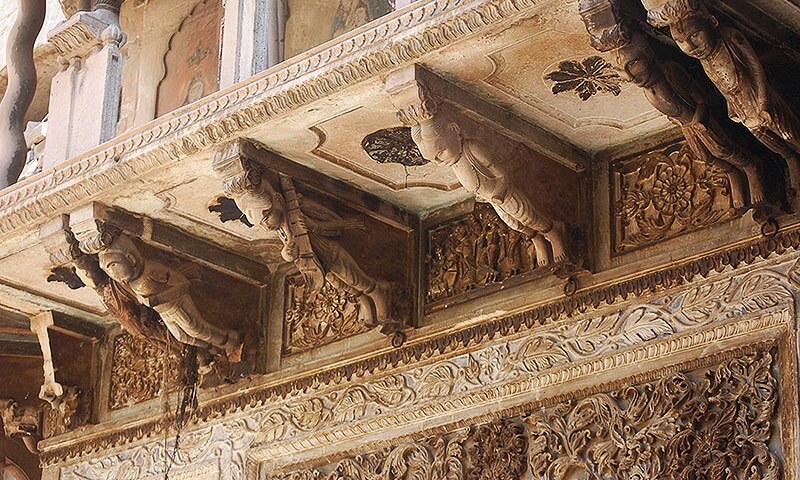 While much has been written about Hindu and Buddhist sites of Pakistan, one of the most neglected aspects of Pakistan’s history is its connection with Jainism. Scattered all over the country are several ancient Jain shrines constructed in the memory of several Jain acharyas. Perhaps one of the most prominent priests in recent history is Acharya Vijayanandsuri, also referred to as Atmaramji of Gujranwala. His smadh still stands in the heart of Gujranwala, one of the most populous cities of Pakistan. Ancient Jain scriptures identify that during his lifetime, Mahavir, the 24th and last Jain tirthankara, undertook an extensive tour of Punjab. Many of the names of those ancient cites have been lost, but it is likely that the Jain heritage scattered all over Punjab in Pakistan, in the cities of Kasur, Lahore, Multan, Sialkot, Bhera and Jhelum, were raised by his devotees to commemorate his visit to those places. Any mention of the non-Muslim heritage of Pakistan would be incomplete without a mention of its Sikh heritage. 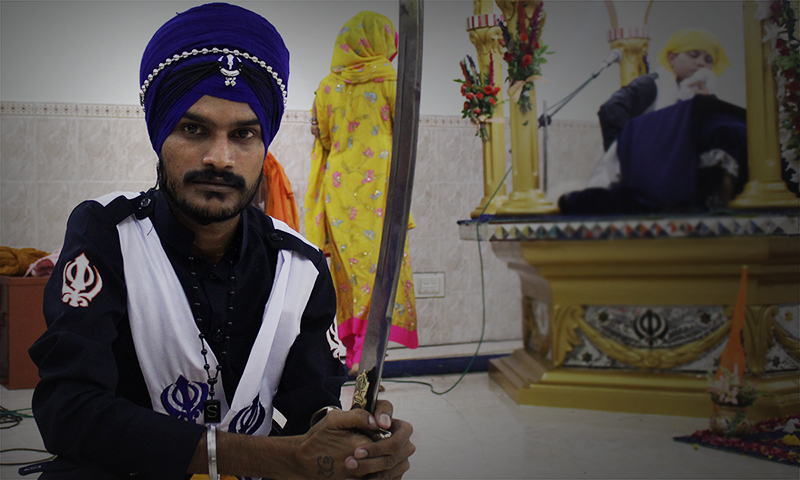 There are several hundred Sikh gurdwaras all over the country, most of which are associated with the Sikh gurus. One of the most prolific gurus in this regard is Guru Nanak, the first guru of Sikhism, who traveled extensively. His devotees constructed commemorative shrines at many places he visited. Two of the most prominent ones are Gurdwara Janamasthan in Nankana Sahib, where he was born, and Gurdwara Darbar Sahib at Kartarpur, where he passed away. Pakistan, which is today solely associated with Islam, is in fact the birthplace of several prominent religious movements that today influence a large part of the world. It is easy to view Pakistan stripped of its historical context, which makes it easy to call it hell, as the Indian Defence Minister, Manohar Parrikar, recently declared. However if Pakistan is hell, then are all these religious pilgrimage spots counted above also part of this hell? How can followers of Ram say that Lahore is hell, given that this city is believed to be founded by his son? How can devotees of Shiva accept this statement when one of the holiest Shiva sites is located in Pakistan? Can readers of the Mahabharata and the Vedas also accept that Pakistan is hell given that this land features prominently in these sacred texts? How can Buddhists accept that Pakistan is hell, a land which contains Buddha’s relics? Would the devotees of Mahavir not be offended by anyone calling Pakistan hell, a land that was made sacred by the blessed feet of this tirthankara? Would any Sikh ever call Pakistan hell, a land where Guru Nanak was born and preached his first message of peace and unity? In this regard therefore Parrikar’s remarks are not only offensive to Pakistanis but also Hindus, Buddhist, Jains and Sikhs living in India and other parts of the world whose religions developed in the land which is today known as Pakistan. This piece originally appeared on Scroll.in and has been reproduced with permission. Sad. How they would have been in theie times and how they are now. Thank you Haroon Khalid sahib for writing this article and making us aware of historical places in Pakistan. From your article it seems that Pakistan is paradise on earth for many religions and only a paranoid would call it differently. Hats off to this beautiful article. All are in ruined stage. Condition of these historical places tells the condition of minorities in this country..
No land is heaven or hell. People of that land make land heaven or hell. Everybody know about minority rights in Pakistan. Now only 2% hindu remains while at the time of independence, they were 14%. Very interesting and intriguing history. 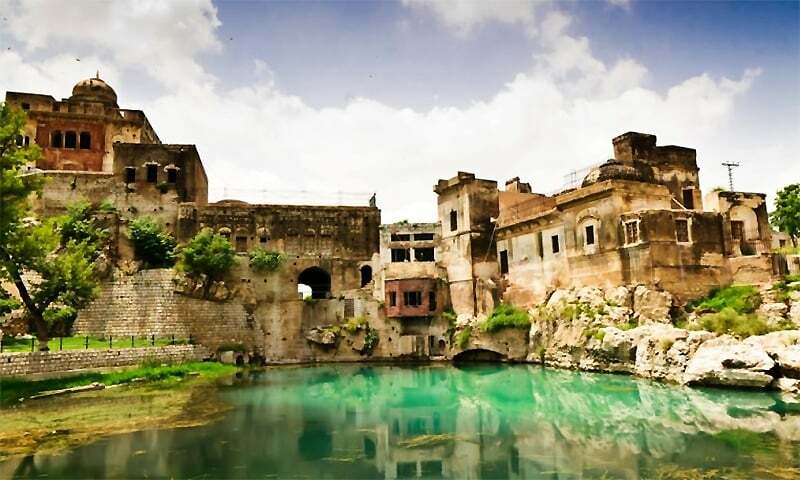 Jain mandar, katas raj and the temple near Badshahi mosque are in good condition. I know Guru Nanak's gurdawara in Nankana sahib is well taken care of. Not bad. The temples which are not visited often suffers from neglect. I completely disagree with the indian minister's comment that Pakistan is hell. The perception built by the media has given this idea to the world. However it is not a heaven either. Out of many issues the country is facing. Issues related to minorities is also of prominence and this can not be resolved till we ordinary muslims of the country come out to their help. Deplorable conditions of the vast majority of sites. The sad state of affairs in these so called "relics" or temples - actually ruins - is a testament to how minorities are viewed and treated in pakistan. Defence minister Mr. Parrikar belongs to hardliner RSS, so he has this indoctrination. Most of Modi's government cabinet ministers are from RSS, VHP and other extremist organizations. But I must appreciate the minister has spoken his mind out. No country India and Pakistan is hell or heaven, it is in between. @TBH There are more than 18 crore Muslims in India, and any place in use will definitely be maintained, also the Muslim mosques come under All India organization of mosques and Imams. Also the pictures shown above are mostly heritage buildings, they can't be re constructed anew. Can be done by heritage department though. Sad to see the terrible condition of these sacred and famous places. Very sad. @N.Sid "No country India and Pakistan is hell or heaven, it is in between." @N.S you are right N.S but some key places could have been maintained well. More than that should promote religious tourism to woo tourists across world. I am telling this as a well wisher rather than as someone just simple posting some non sense in social media. Great articles. 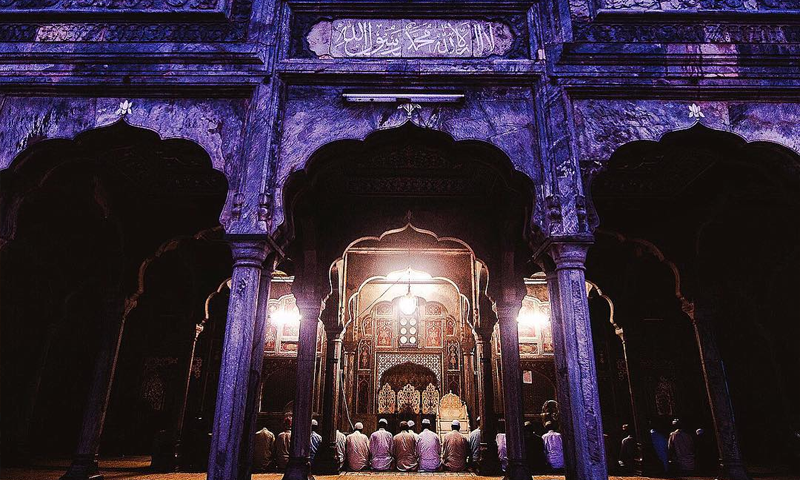 Turn to India , every village is having a living Mosque. Every year lot of new Mosques are constructed in Tamil Nadu.This is the present scenario in India which is a pluralistic society, that is why world respects India. Thanks for publishing this article. Everything written was correct! Pictures and stories has great signicance and proved minister was 100% correct in his verdict..
@TBH Since you are an Indian, I assume, your knowledge about the ground realities in Pakistan must be limited or restricted to Indian media portrayal, this is not the reality. 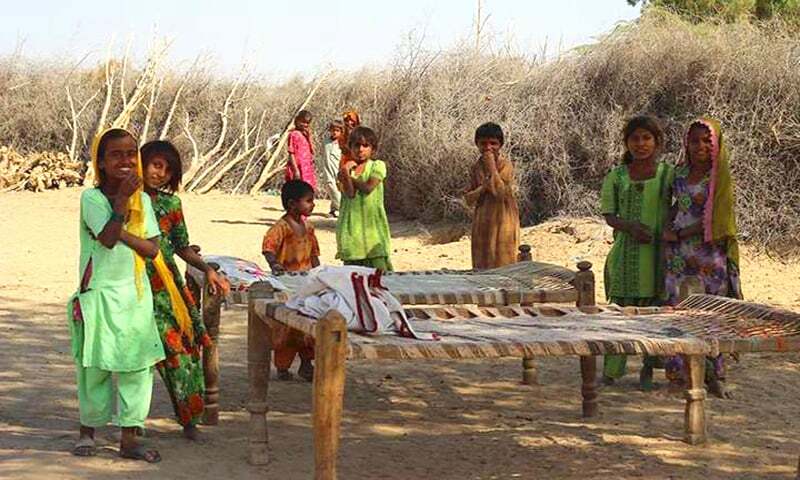 On the contrary Hindus are traders, businessmen in Sindh, in Karachi and in interior Sindh and they are very rich people, caste based divide notwithstanding. Much richer than even he local Sindh people, also they own large agri land and can be bracketed in the feudal class. About 9% of Sindh population is Hindu. I have lived in India for two years, and though there are a number of Muslims who are relatively well off, a vast majority of them are in not so good condition and are marginalized, mostly lives in Ghettos in cities. Also read the SACHAR committee report, it has pointed a very dismal picture of minorities in India, Muslims are as worst as dalits, the report said. Very informative article sir , but would like to see you write another one , the other way around about India . so people can see both sides of coin ..
@N.Sid "Also read the SACHAR committee report, it has pointed a very dismal picture of minorities in India, Muslims are as worst as dalits, the report said." Firstly my understanding of Pakistan is not through Indian media or our union ministers. I have browsed enough of internet to understand Pakistan from various perspective. Also Sachar was instituted as an honest attempt to let ourself inform of ground realities. India could have submerged this report but made this public. I am mot telling we are holier than you but India is much more open society than the rest in the region. Sad on reading this article and looking at the pictures. What a heritage and what have we done. The cultural atmosphere must have been mesmerising before partition. A resident of Multan travelling on road and rail with his family to keep his old promise of taking everyone to see the Taj Mahal and marvel it's beauty. The childrens must be jumping with joy on seeing the vast lawns of the Agra fort. While a family from Varanasi would have taken that long back breaking journey to immerse themselves at the feet of Hinglaj Mata. What have we done to this mosaic composite culture. Kudos to the author for helping bring out all these emotions,so a moment it let us remind that at the end we are humans and not Muslims or Hindus or Christians or Sikhs or Buddhists or Jains or Atheists. Good information. I wasn't aware of it. Thanks for sharing. As per Hindus we get rebirth and therefore hell and heaven are on Earth only... Hell is a place where you do not want to get birth!! All these hindu temples, gurudwaras, Buddhist temples, jain shrines belong to ancestors of todays Muslims. Built by your own ancestors. Show some pride for your own blood. That statement was very harsh.Diplomatically it was a blunder.Hope je will be careful now after reading this article. Just feel so sad about partition.. Living together as brothers.. where all of us could have enjoyed all our heritage would have been awesome..
Pray for peace and goodwill in our nations.. so that maybe in future, we can get there.. Thank you Haroon Khalid sahib for your article. Thanks Muhammad for your true spirit. Pakistan will greatly prosper and earn reputation worldwide if he cares and helps to prosper religious and ethnic minorities because unity in diversity has always win-win situation. I used to visit Pakistan on frequent basis and even helping arrange conferences in Pakistan's development. Now even I am afraid (I am a Muslim and Pakistani) to visit Pakistan and so many of My friends who were members of minorities have left the countries because Pakistanis made a hell for them. Danger of being kidnapped, robbed, pick pocketed or simply killed. Of course Pakistan is a beautiful country but Pakistanis have lost respect in the eyes of the world. Sad to see these sacred monuments lie in ruins and in a country which has crushed its glorious past. No respect for its ancient culture. Thanks Dawn for publishing this article. Author has not mentioned Mohenjodaro (derived from Sanskrit Mohan - Jo - Dwar). There is no mention of Paninis home town charsaddha. Panini wrote grammer rules for Indian languages there. This grammer is still in use. It is followed by all Indians languages . Peshavar (Purushpur) was once bustling rich Buddhist town. These places are all in ruins now. Need to protect this heritage. Hope Parrikar reads my comments. No Indians still stand by the comments of their defence Minister. @Sachin : Similarly, with the same logic, muslims should not despised either. @BRR - Many of our own ancient buildings and historic mosques (Wazir Khan Masjid for instance) are in bad state too. Google it and don't get touchy about just minorities historic places. NGOs and charities take up such issues where government fails our people. Instead of selective criticism, do something for fund raising. What was the state of Babri Masjid before destroying it? Lovely article, country and people and Dawn news agency too. I visit your page often. Your news is never biased. Keep going. @Jack The reason why there are only 2% Hindu in Pakistan is because, a lot of Hindus migrated to India late 40s and 50s. After the separation of Bangladesh in 1971, the proportion of Hindus in Pakistan declined even further. Note, 8% of Bangladeshis today are followers of Hinduism. @Saidur Rehman ..wow. You are knowledgeable. Good to know from you. @Saidur Rehman GLAD you know of Panini. He is considered the father of Sanskrit grammar. @M J Well whatever the condition these temples are today at least these temples are still there. But I know a place where once 500 year old majestic mosques once stood is no where in sight now. Im deeply saddened that these heritage structures of such vast importance should be preserved and be promoted for tourism so that millions of Hindus , Buddhists, sikhs ,Jains can arrive and relive the history, with right tourism these places could have even airports ,but just see how u kept it,here in India though I live in a muslim majority district of west bengal,being a hindu I always see participation of muslims hindus,christians,sikhs,jains jointly in ceremony of other religiouns.It is not that there no such people who dont want to live and want go to pakistan because they want to live in an islamic state,but they r about less than 1% and the rest of the 99% muslims want to live among all the religions because they know that all are equals. @N.Sid - the other much smaller minorities like christians , jains , sikhs , parsis are much far ahead and better than most of hindus and muslims . bcos of education and enterprise . so being minority is not the cause . Infact i have seen muslims much better off in south india than most of hindus itself ,though they are in much lesser numbers. . the point - is numbers are not the reason. Regardless of religion we all must respect each other's believes and their holly places. All religions teach us that. Personal dislikes and hatred do not harm any but the person himself. Each and every nook and corner of this world is a heaven.we humans only responsible for upgrading into hell and to the author sir how many pakistanis know about the history and traditions u just mentioned above or rather keen to know about it. @TBH well said. The Jama Masjid, The Humayuns tomb, Safdarjungs tomb, Qutub minar, are just a few of the millions of Muslim era buildings which have been painstakingly preserved. All these sites are not maintained because marginalisation of hindus , thats y its become hell, now see dargahs in Hindustan Haji Ali at Mumbai, Khwaja Ji Dargah at Ajmer, Nizamuddin dargah at Delhi and many more , that is the difference. Well written ... and balanced. Thank you. Good to know Pakistan is center of major religions of the world. Sad Few Indians will never accept Pakistan no matter what you say. Very informative article and a good response as well. no country should be called as hell. God has created every part of earth very beautiful. it is we human we are responsible for making hell or heaven on earth. Pakistan is not a hell for sure but definitely not heaven either for sikh, hindu, buddhists, jain & Christians. The writer forgot to mention Swat vally. It has old temples and is the place of birth of Hindu Vidas. The first image in this article conveys the whole message. A picture is worth 1000 words! @SACHIN, you have spoken the truth like a sage. Hope it's implemented the way you mentioned. Thanks for enlightening us but Gurdwara Panja Sahib in Hasanabdal also deserved a mention. This is one of the most holy places of Sikhism because of the presence of a rock believed to have the hand print of Guru Nanak imprinted on it. Sikhs visit this Gurdwara from all over the world. Very good article with forceful argument on the cultural heritage of Indian sub-continent in Pakistan. I personally do not agree with the utterances of some Indians calling Pakistan a hell. Learned scholar has drawn our attention to ancient legends in support of his claim that Pakistan is not a hellish country, but our friends while narrating history forgot the fact that Pakistan was not in existence when these legends took place. It is a country born on the 14th August, 1947. If we are lover of history, we can not change the stories based on history. What we can do is to distort the history, destroy the historical remains of history as was done in Bamyan in Afghanistan by Talibani militants and other things not suited to religious fundamentalists, otherwise, Indian subcontinent was one and will continue to remain one for historians. Before 14 August 1947 Non Muslims had unfettered access to these holy places. Creation of Pakistan meant a ban or restrictions on Non Muslims to visit these holy places. I think religious tourism would have kept people from both countries closer and help Pakistan earn foreign exchange. Today Pakistani establishment considers India as enemy No 1. What is relevance of inheriting this diversity and rich history to Pakistan other than a trump card of the glorious heritage? Religions can survive without symbols. Moguls desecrated thousands of temples, gurudwaras in India, but Hinduism and Sikhism survived. If Pakistan opens doors Non Muslims for pilgrimages - things will improve. Nobody ever disputes the fact that Pakistani people are highly cultured, great and loving. @TBH ; Pakistani history is short in terms of 'historicality'. What developed from the time of Mohenjo Daro and Harrapa are historic and prehistoric. They are the heritage of a people long ousted by invaders. The decay of heritage monuments suits the latest successors of the Indus region--Pakistan! Some days back after hearing 'hell'from Manohar Parrikar,I was collecting information about old mosques,old Mandirs,old Gurduwaras,and old Churches. Believe me there are uncountable religious sites in Pakistan,all are so dear,and so important.We all believe in God,and we must have great respect for all religions and places. The above article is awesome,and very interesting. Manohar Parrikar is a follower of hindutva,but Hinduism itself is most peaceful religion,and India is a beautiful example wherein Hindu Muslim live together in harmony.No matter how vast could be our political perceptions, but look how closely the Indians&Pakistanis live, and they help each other in daily life.During the crisis of Iraq,all those Indians were repatriated along with their Pakistani friends to Pakistan and later were sent to India,our politicians must avoid to divide the innocent common people by rhetoric slogans,and spread love instead hate please. @N.Sid The reason why Muslims are in the same bracket as Dalits is not due to deliberate discrimination as a primary reason but lack of secular education. You must read the Report in its entirety to make an educated and not a emotional judgement. Christian population in India is half of Muslims but they have been in the forefront of eveything from highest Govt posts to entertainment, culture, corporate sector, advertising - you name it and they have shone. Only because of education, secular education. No non Muslims go to Madrassahs in India to study but every parent even millions of Muslims, wants his/her child to be educated in a 'Convent' as missionary schools are popularly known in India. So dont just cherry pick from a Report. Lastly as someone pointed out the very fact that the Report is available in the public domain proves India's credibility as a secular nation. Even the heaven on earth can be turned into hell by evil people. @Vijay Last time when I visited Ayodhya in 1991, Babri Masjid was standing tall. It needed some attention. Hope Indian government has since then taken care of it. How about restoring these religious places and start a Religious tours. Thanks DAWN for teaching me the history of erstwhile India. I am sorry to say how people of India, Pakistan and Bangladesh forgot their origin and ended up in perpetual cycle of hate toward each other. I wish we could understand our common DNA and learn to love each other. I hope people of India and Pakistan realize how much they have in common then with China and USA.We love to watch each others TV, joke, food and cultural stuff but still hate each other. Waiting for the coming generation to change this mindset. @N.Sid The reason for the disparity in India is due to the fact that rich, upper middle and middle class Muslims migrated to Pakistan and majority of poor Muslims has no incentive or means to migrate. It will take these Muslims to get out of this situation and I can assure you in the pluralistic Indian system they will come out and make it to top one day. Only if their number counts in Pakistan. See the stats "About 95-98% of Pakistanis are Muslims and In India Hindus are 80.5%". I wish Mr Parrikar ever has time to read this excellent article. He would be overwhelmed like me. I thank the author. @Saidur Rehman Just also read as to who ruined these towns. Ruined Country with Ruined Historical places. What could have been and what it is now qualifies it that even a paradise can be made hell by people. You forgot yoga.Multan is where Patanjali had his ashram and is origin of yoga. thanks for reminding that Pakistan is birth place of many religions, putting straight forward how many have u conserved ??? hav you got it opened for people??? have u ever welcomed any of other religions ??? when u were called hell dont get panic and show these devasted pics, try to conserve them , take his comments as a challenge and now show the world that u not hell. Sad to see the miserable conditions of historical and mythological holy places of Hindu, Sikh, Budhist, and Jain in Pakistan. With emotions only we can't plead or defend our case. It is a fact that our failures to run the country based on the principles given by our Quaid-e-Azam is the main reason for our failures and embarrassment. @Indian, yet the conditions of minority is not so encouraging. Please show some revered & protected monuments if you want to get the support of Sikhs, Hindus, Jains & Buddhists in condemning Parrikar. Parrikar was certainly wrong in calling Pakistan a hell. But the question is why a huge number of Pakistanis take offence at their non-Muslim heritage! Mosqs in India are many and are preserved. 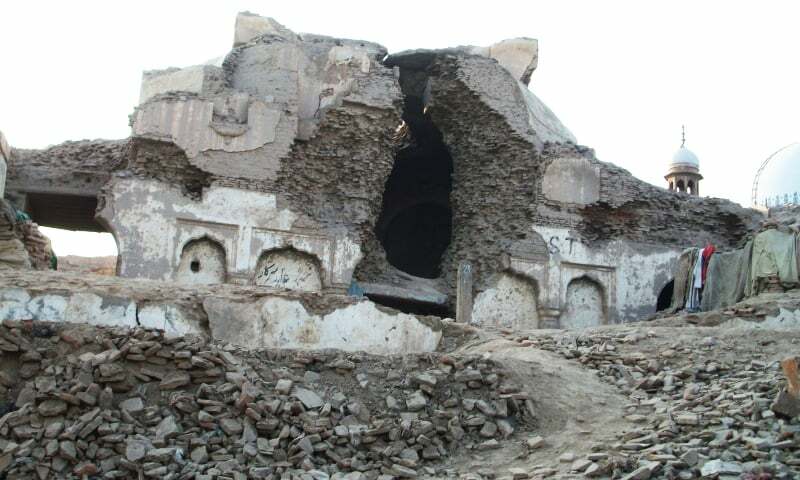 See Prahlad's temple in Pakistan, what peopeles do to preserv their history? Why to forgot we are independent nation with history of more than 5000 years and not of only last few 100 years. How can it make a country dignified? Pakistan is not a hell. Rather it is a place where Hindusim, Sikhism was born. City of Lahore (perhaps named after Luv Kush(Lahore-Kasur) son of Lord Rama. Krishna Temple, Shiva Temple, and Buddha and Jains temples. And Our Guru Nanak Dev Took Birth in Talwandi. Only thing is that Pakistan Government should maintain these places so that Hindus, Sikhs, Jains and Buddist can visit Pakistan for their religious places. I hope Pakistan Government will preserve these places to the best of their work. Nice to read a Pakistani writing about the great ancient heritage of Pakistan . I thought Pakistani children were taught the history of Pakistan started only with invasion of Sind by the Arab Mohd Bin Kassim in the 8th centuryAD. All the old historic buildings, temples are all destroyed. The infrastructure that the British raj had created - Pakistan could not maintain it. Singapore is only 50 million strong and they are very progressive. They decided to not be part of Malaysia. Look at Korea they are progressive. It's a shame that Pakistan being 170 million strong is no where close to being progressive. We cannot even be self sufficient -leave alone being on top. All the people of Pakistan has done is destroyed the past history which was full of historical values. Before Islam could come there was other religion and people of other culture and values that lived there. Pakistan should add this article in their History books. Thanks for realisation. I congratulate Dawn for this article. As a lover of history I like this article. It is eye opening article. Pakistan history textbooks now start from 8th Centry CE. Why not they start from the 5,000 BCE then talk about the great kings of that time. Because most of these buildings are of 3rd century BCE or before that. Also, Dawn should come up with article on the Takshashila University and it’s great students and teachers. Chanakya, also known as Kautilya, the strategist who guided Chandragupta Maurya and assisted in the founding of the Mauryan empire. The Arthashastra (Sanskrit for The knowledge of Economics) was written in Takshashila. Ayurvedic healer Charaka studied and reached at Taxila. The ancient grammarian Pāṇini, who codified the rules that would define Classical Sanskrit, been part of the community at Taxila. India has recently resurrected the Nalanda university, why not Pakistan create a modern Takshashila university with 1st century architecture in the same locality? The photos tell more than the words ever will. Look at the dilapidated condition of all the places, shows the disdain with which the history/story of the other religions have been treated. Pakistan can increase it's revenue by promoting these tourist sites. Ismailis, Mohammadis, Bohras, Parsis, Jains, Sikhs are all minorities both in India and Pakistan. If someone want to compare apple to apple, pl take socio economical condition of each minority and then compare. Just an example, take top 10 achievers in any field (sports, education, Industry, politics, award winners etc, etc) in India/Pakistan and see how many minorities name come up. My understanding is that Pakistanis are warm hearted and good people in general but radicalism, political engineering is transforming some of them to commit unacceptable activities in the country and elsewhere. It is wrong to say Pakistan is hell. It is duty of every Pakistan citizen to protect the cultural heritage of their own. Pakistan is no doubt beautiful place, but unfortunately few power seeking groups have made it the hell it is now. Ask yourself how many Hindus-buddhist-jains-sikhs would visit this place without fear. @TBH Yes, there is a big tourism potential for Pakistan to woo Hindu's from all over the world. All those places are of Historical importance and it should be well maintained and promoted. It will give much needed foreign currency,employment for the locals, people to people contacts, religious harmony, improve the life style of people and moreover image of pakistan and its people. @Sachin. This is the best comment. Infact Muslims should feel very proud of their Hindu ancestors, I feel very proud of my ancestors, and I am sure every reader feels the same, whoever they are or were. In this way we maintain our history our past glory, for future generations. @N.Sid If you have resources for 2 children and you have a dozen then you automatically go poor by 10 times, and the dozen will be even more poorer and then expect govt to feed these extras from the tax money of sensible people is not very prospective thought. Panini, who wrote the Sanskrit grammar, Ashtadhyayee lived in an area which is now Pakistan. Ashtadyayee is the greatest book of grammar ever written. The genius of its author is reflected in every part of it. @TBH : No doubt the places you mention in India are relevant, but importantly, the comparatively humble place across the street from Humayun's tomb, draws thousands of more people every day - the Dargah of Nizamuddin Auliya and Amir Khusro - that too, from all religions. 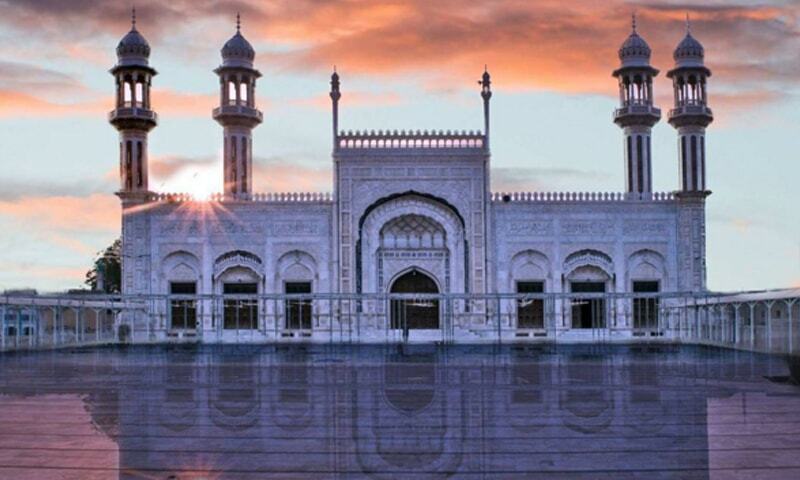 It is places like these, and the Ajmer Dargah, that represent India's syncretic culture. Whether Pakistan likes it or not, and despite any comment made by any leader in India, Pakistan has to take lessons from India on multi-cultural harmony. Period ! Thanks for the information.It really make us proud. But i am very sad to see the sorry state of those relics now. Please do something to protect our and as well as your history. Thanks for the article ..made me weep. Have you thought why has the minority population diminished since 1947? No place is hell in this world, but people made hell of heaven. This area was heaven once upon a time but current people has damaged this area and made it opposite of heaven. Pakistan lost a Golden opportunity of converting it in to an international Religious Tourist attraction. Great piece of writing, wonderfully providing a peak into history. This needs to be publicized by archaeology department as well as tourism department. There are so many questions by this author, but it is a proof of seeing the pictures he has shown as a support. Ask who is responsible for this sorry state?. How can you ignore your past history?. What ever faith you follow now, it is the duty of every citizen of pakistan to protect and show it to the word.I wish atleaest now pakistanis take care of them. Decades ago, Pakistan was a peaceful country. But, today, people are afraid to assemble at any place for fear of terrorist attack. This is the sad reality. It is really nice to learn these facts which i didn't know earlier. But when Ramayana was written, when Mahabharat was fought there was no Pakistan. But that time there was the existence of Aryavarta or Bharatvarsha. In India visit a temple, a church, a gurudwara, a dargah or a mosque all a equally glorious and vibrant spiritual places. The comments of Manohar Parikkar was only in the context of Terrorists attacks which were indiscriminate killing of innocents, that included even women and children. Certainly it never meant countless sacred places of Pakistan. Please do not generalise the issue. Pakistan should protect and preserve these places. Religious tourism is good business. A very informative article Haroon sahib. I only wish that most of the people of the subcontinent will be aware of these facts so that that they could understand each other better rather than the hate which is being created by the politicians. By the way Haroon sahib is such a history is included in the history books for the young children in schools? Heaven is mother nature. Hell is what human beings make out of their lives. Please bring more of such places in light so that Pak government do more to protect and preserve these places. I think ASI of India should join hands with Pakistan for preservation. Pakisthan had great History... If these are maintained, developed, respected and given proper Importance Pakisthan would have been earned billions just in Tourism Industry. Big loss..
Do not foreget Sindh where Sadh Bela Mela is organised every year in Sukkar, for sindhis migrated to India during partition. A holy place for Sindhis. Urge Govt. of Pak to develop this temple of Jhule Lal for the Sindhis who can visit Sukkar from India. @Jack : At the time of independence, Hindus in Pakistan were 14%, but they were mostly in East Pakistan ! I completely disagree with the statement made by our Defence Minister. But my question is, has Pakistan done enough to preserve its heritage? shameful comments by our defense minister most indian sikhs and hindus trace their roots to the pakistan which were the famous epics Ramayan and mahabharat were written. Pakistan which was once a beautiful land with peace prosperity and growth ,has fallen to bad times. The Pakistanis have destroyed their culture and ethos for the mirage of religious brotherhood. @srimanta majumdar - Who told you that Ramayana and Mahabharata were written in Pakistani territory? Ind Minister comments are directed towards current anarchy and radicalised society of pak. Nothing to do with once culturally rich aryan land. Sad to complete destruction of aryan land & heritage. Mr Khalid, a very good history lesson. Thank you. But you have missed the point Mr Parrikar was trying to convey. Great information. Thanks for publishing this. Unfortunately, and let us accept it, we have not been able to preserve these sites. Neither were we able to provide security to the minorities. What the Indian Minister said is about the present-day Pakistan - he was obviously referring to the many law & order problems, and all the concomitant things they bring in. If only we could go back to history and learn from it that there is no place on earth which is hell infact all places are sanctified with the Divine Power through these saints. Thank you for bringing this information. Thanks to note this valuable places.